Bring together crumbled feta, lemon zest and fresh veggies for this Easy Greek Cucumber-Tomato Salad. 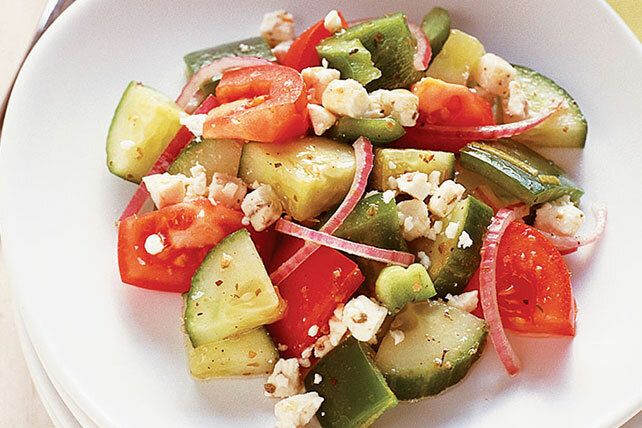 This cucumber-tomato salad is bursting with flavor. Salad can be prepared ahead of time. Refrigerate up to 24 hours before serving.